Here you can find a selection of accommodation providers. For a lovely, cosy & sunny studio apartment in Morzine, look no further. MorzineStudio.co.uk is perfectly located, well equipped & ideal for a family of 4 or small groups. Just look at that stunning view of Morzine from its sunny balcony…..
Now a third generation family business; Pure Morzine have over 50 years of experience and local knowledge second to none. 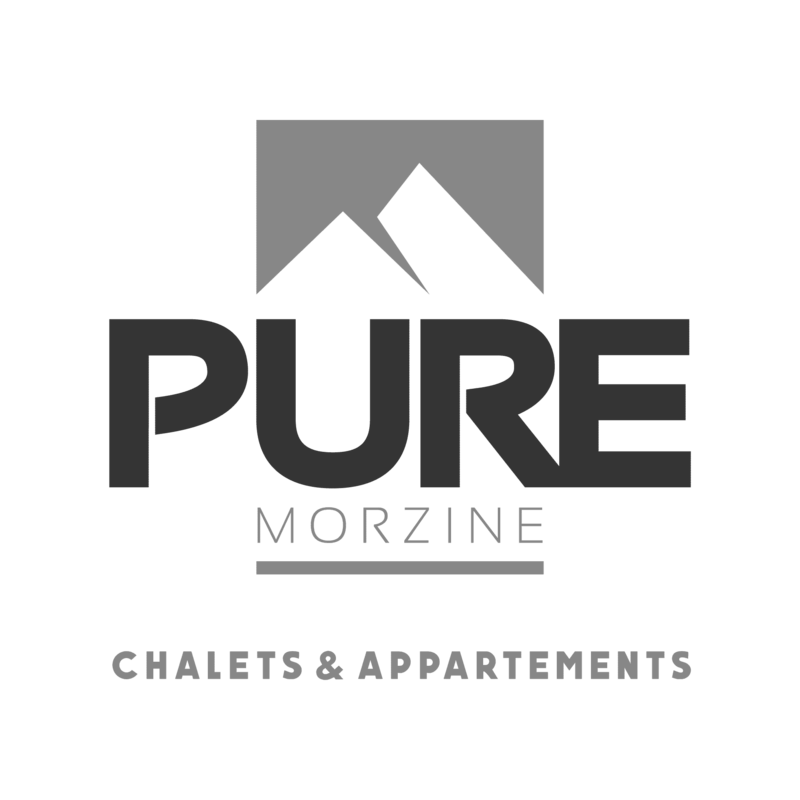 They offer newly renovated ski-in-ski-out apartments located at the bottom of the Pleney pistes and a collection of newly renovated ski-to-door chalets with Jacuzzi’s/saunas in enviable locations. Pure Mountain Holidays – Catered chalets in Les Gets and owner run from resort. Bond & Unwind in Quality surroundings All year round, at Apartment Buqa. Contemporary, luxurious, family friendly & eco-conscious, Apartment Buqa is in the heart of Samoens & is equipped with high-tech gadgetry throughout. Self or catered, winter & summer & sleeps 8. For the best Les Gets chalet holidays, please contact the good people at Mountain & Tradition; an independent company based in Les Gets specialising in beautiful and unique catered ski chalets. The Chalet Experience, for chalet holidays in Les Gets.